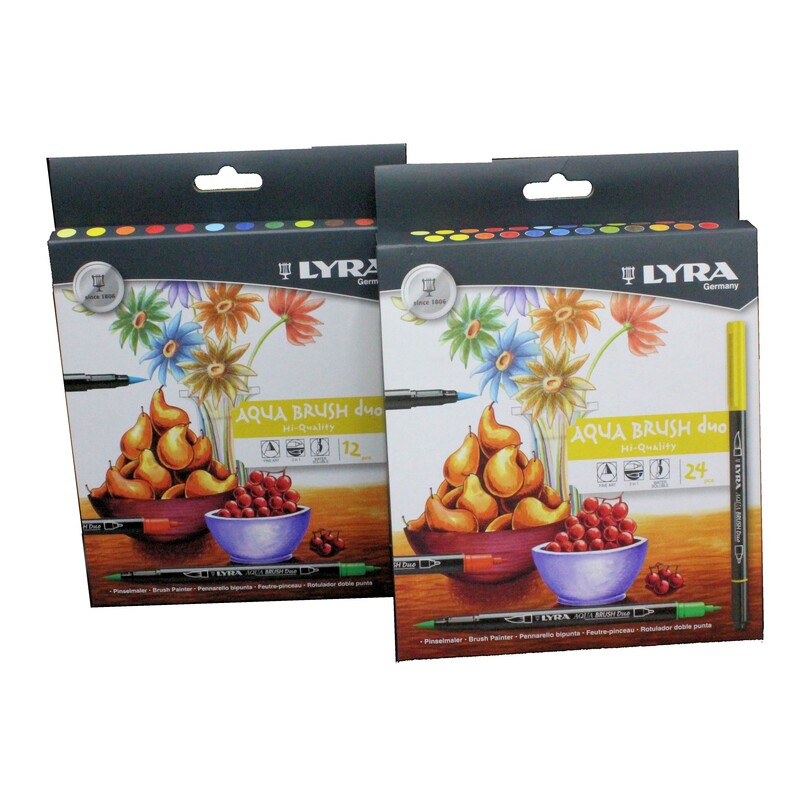 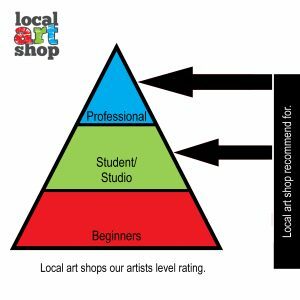 Lyra Aqua brush duo fine art 2 in 1 marker pen sets of 12 or 24. 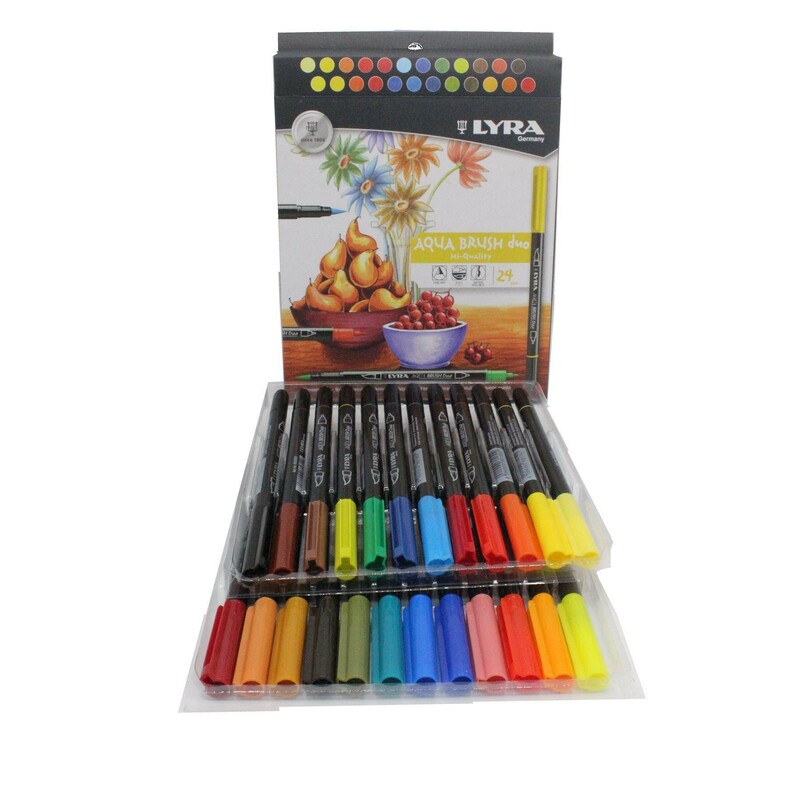 Lyra Aqua brush pens are a dual tip pen, one end having a broad brush-like tip allowing brush-like techniques and the other end a fine liner pen nib for a more detailed work. 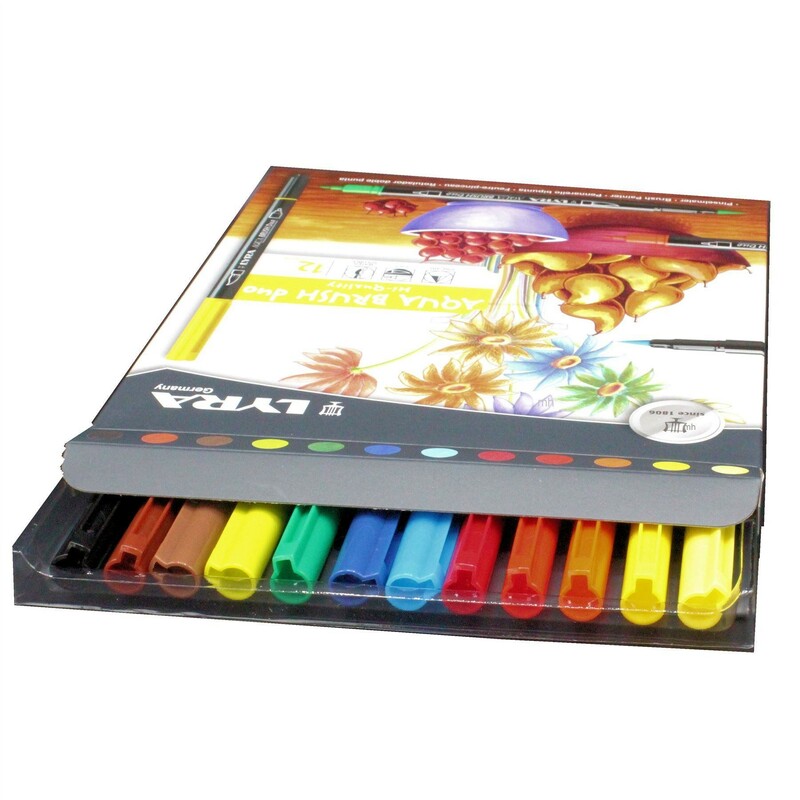 The Ink is water-soluble so can be blended with water filled brushes and has good lightfastness. 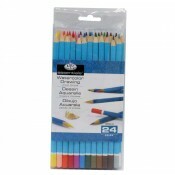 These are fine quality colouring pens.